September 4, 2013 - The Department of Transportation’s (DOT) Aviation Enforcement and Proceedings (Enforcement Office) has fined United Airlines $350,000 for failing to timely process consumer refund requests, as required by the Consumer Credit Protection Act and Regulation Z of the Board of Governors of the Federal Reserve System. In addition the Enforcement Office noted United had deficiencies relating to mishandled baggage reports and failure to file in a timely manner reports of incidents involving animals during air transport. 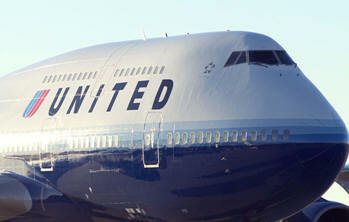 The Enforcement Office conducted an on site regulatory compliance inspection at United’s Chicago headquarters in which they found substantial evidence indicating the carrier was in noncompliance. The Enforcement Office reported United failed to process over 9,000 refund requests in a timely manner. By failing to process refunds in a timely manner United violated 14 CFR Part 374 and engaged in an unfair and deceptive practice in violation of 49 U.S.C. § 41712. The regulations establishes that, with respect to refund requests involving airline tickets purchased with a credit card, United was required to transmit a credit statement for a passenger refund to the credit card issuer within seven business days of receipt of full documentation for the refund requested. DOT requires air carriers (under its enforcement case precedent) to refund passengers that pay in cash for their tickets within 20 business days of receipt of full documentation of such a request. Failure to process a refund within the stipulated time periods is viewed by DOT as an unfair and deceptive practice. In addition, United had posted on their website site its refund policy. Which stated United pledged that for purchases made with a credit card, it would submit the refund requests to the credit card issuer within seven business days of receiving a complete request for refund, and for purchases made with cash, check, or other forms of payment, it would issue the refund within 20 business days of receipt of the completed refund request. Federal regulations requires air carriers to report monthly with the Department on a domestic system basis the total number of passengers enplaned systemwide, and the total number of mishandled baggage reports filed with the carrier. It also requires air carriers to submit a report to the Aviation Consumer Protection Division on any incidents involving the loss, injury, or death of an animal during air transportation within 15 days of the end of the month during which the incident occurred. In addition carriers are required to file quarterly reports with the Department’s Bureau of Transportation Statistics (BTS) listing, inter alia, the number of passengers denied boarding involuntarily and the number of passengers who volunteered to give up their seats. These numbers are then published and made available to the public in the Department’s monthly Air Travel Consumer Report (ATCR), which ranks carriers according to their rate of mishandled baggage and their rate of involuntarily denied boarding’s. ATCR data is used by the public when choosing among transportation options and by carriers as a basis for advertising materials regarding the quality of their service compared to other carriers. When airlines are aware the information they submit is not accurate or fail to submit, then their business practices is deemed unfair and deceptive and its and unfair method of competition.